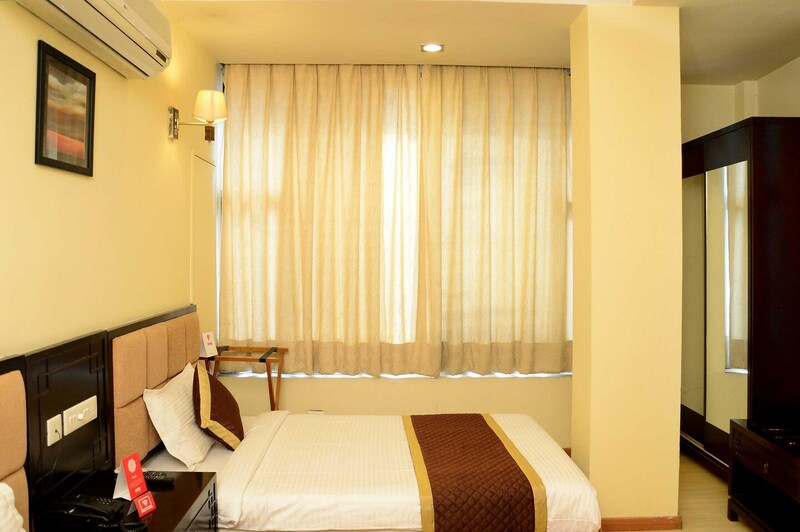 Divine Boutique Hotel is quite popular among the travellers visiting Jaipur and looking for comfortable accommodation facilities within a reasonable price range. The rooms have been painted in warm colours which enhance the homely feeling. Large windows have been provided in each room that let the guests enjoy a lot of fresh air and bright sunlight into the room. The rooms are spacious and well-furnished. The amenities in the room include a hair dryer, room heater and a mini fridge. The additional facilities provided by the hotel are free Wi-Fi, parking provisions, a constant power backup source, card payment in all forms, an elevator facility, and CCTV cameras. The in-house facilities comprise a common dining area, a conference room, a banquet hall, a restaurant, and a common lounging area.